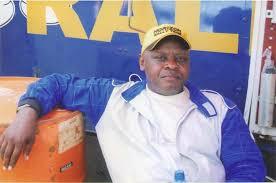 City businessman and rally driver Charles Muhangi is dead. Muhangi was found dead at his Buziga home. He has been at loggerheads with fellow city businessman Drake Lubega over the ownership of Qualicel Bus Terminal, Qualicel building and Nabukera Plaza. Mr Muhangi claimed ownership of the 0.518 hectare of the land on which Qualicel Bus Terminal, Qualicel building and Nabukera Plaza. The President Yoweri Museveni last month met Muhangi and Lubega at State House, the meeting centred around the court dispute and the standoff.